WAITING FOR MANNY AND BRYCE, PHILS ARE ALREADY WAAAAAAAAAAY BETTER THAN 2018! While the Phillies and the rest of the baseball world wait for Manny Machado and Bryce Harper to make up their free agent minds, spring training opens next week. The Phillies made a blockbuster trade to acquire All-Star catcher J.T. Realmuto from Miami on Thursday and already improved their roster without adding one of the two prized free agents. Shortstop Jean Segura was acquired from Seattle in December while 2013 NL MVP Andrew McCutchen and proven closer David Robertson signed in free agency. Segura (.304 average, 10 homers, 63 RBIs, 20 steals) and Realmuto (.277, 21, 74) bolster the top of the order and McCutchen. (.255, 20, 65) gives Kapler flexibility because he can bat anywhere. 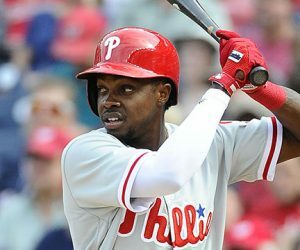 The Phillies had the worst average (.234) and were third in strikeouts (1,520) last season so they should be much better. If other hitters improve, the lineup could be formidable. Slugger Rhys Hoskins still has more upside. Odubel Herrera, Cesar Hernandez and Aaron Altherr are coming off down seasons. 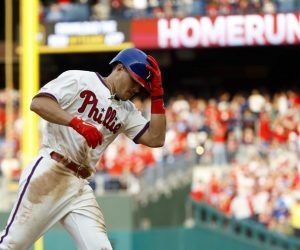 Nick Williams and Scott Kingery have plenty of room for improvement. Maikel Franco was the only starter who produced better numbers from the previous season. Aaron Nola had a breakout season, finishing third in NL Cy Young Award voting. Jake Arrieta was disappointing after signing in mid-March. Nick Pivetta, Zach Eflin and Vince Velasquez showed promise. The starting rotation has potential but lacks a lefty. Dallas Keuchel is still in play for the Phillies if they want to add a former Cy Young award winner who, like Arrieta, may have had his best seasons already. 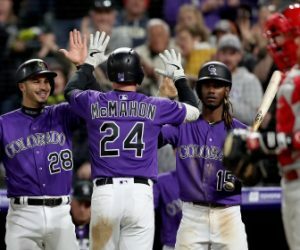 Robertson improves a talented group that features hard-throwing righty Seranthony Dominguez, who emerged as the closer in his rookie season. Righties Hector Neris, Pat Neshek and Tommy Hunter plus lefties Adam Morgan, Jose Alvarez and James Pazos make this a deep unit. Robertson may be used in various roles to get big outs whether it’s in the seventh, eighth or ninth innings. Herrera had a career-high in homers (22) and RBIs (70) but had career-lows in average (.255) and on-base percentage (.310). He arrived to spring training last year out of shape, and Kapler told him after the season it was unacceptable, so Herrera worked with personal trainers in Miami and went to camp in January. Herrera was an All-Star in 2016 and slashed .288/.344/.430 over his first three seasons. The Phillies had the worst defense in the majors last season but improved by adding Segura to play shortstop and moving Hoskins from left field to his natural spot at first base. 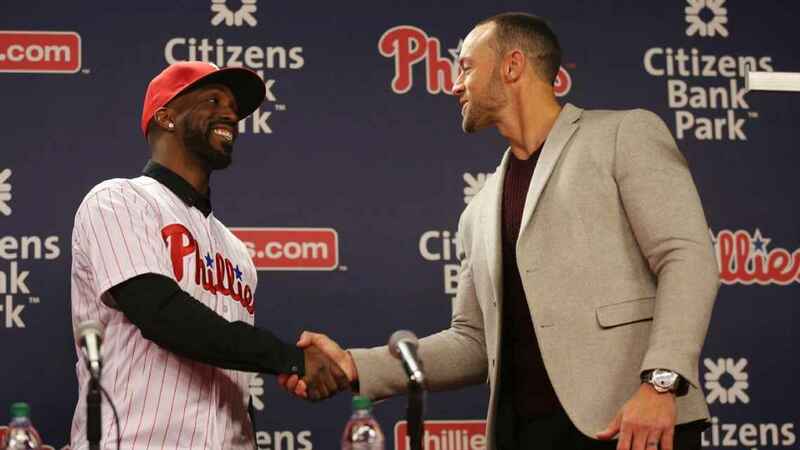 Kapler plans to tweak the way he employs defensive shifts. Arrieta and Neshek were critical of some defensive alignments last season when they were on the mound and positioning players better also can help the defense. Previous PLAYOFFS POSSIBLE? FLYERS 8 PTS. BEHIND JACKETS, 28 TO PLAY! Next TOBIAS HARRIS AND NEW-LOOK SIXERS POISED FOR DEEP RUN!